About six years ago while covering technology trade shows, I started a tradition of awarding my “Best of Show” prizes several weeks after the shows concluded. My logic was that it’s too easy to be wooed by glitz, glamour and alcohol, resulting in Awards that you might later regret. I decided to uphold that tradition while attending my first Outdoor Retailer Winter Market this year. It’s a different industry, but the concept still holds true. And I’m glad I made that decision. Three weeks out, I feel totally comfortable issuing the OR Winter Market 2016 Hot Shot Awards below. I know what you’re asking: “Why would Cold Outdoorsman give out Hot Shot Awards?” Well, there’s the irony of the name of course. But more important, I don’t know whether these products and trends really will end up being the “best.” What I experienced were mostly prototypes on a show floor. With the exception of one item, I didn’t get to test things in the wild. However, these are the products and trends that grabbed my attention, still have me thinking about them three weeks later, and that could very well be “the best of the best” once the year concludes. But I won’t know that until the dust settles on 2016. So for now, “Hot Shots” they are. 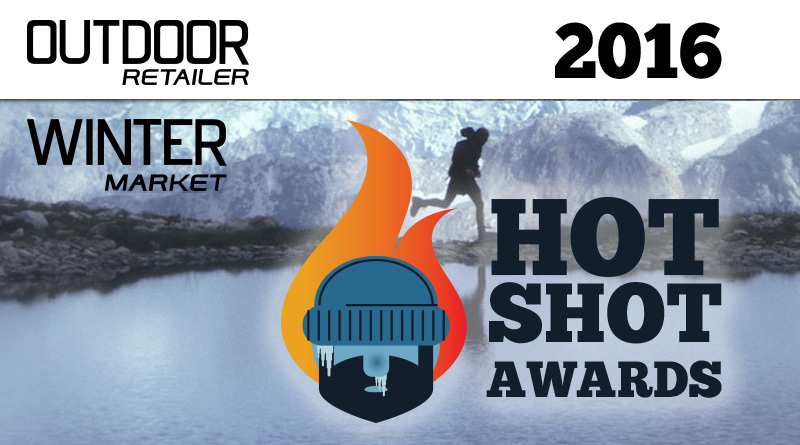 And without further ado, here are Cold Outdoorsman’s OR Winter Market 2016 Hot Shot Awards winners. Remember that comment about not getting to try many products in the wild? The Fjallraven Kyl Parka was the lone exception, and what a glorious trial it was. Fjallraven invited a handful of people to try their jackets during an outdoor event, at night, in Salt Lake City, in early January, in light snowfall. That was a confident move on their part. I don’t normally put myself at risk of freezing, and that combination of elements had my Raynaud’s alarm blaring. But with the Kyl Parka surrounding me, freezing was the farthest thing from my mind. The Kyl Parka is a long-cut jacket with a 500-fill blend of sustainable goose and feather down, and its fleece-lined hood is trimmed with removable faux fur for wind protection. The combination looked hot and kept me hotter. I was outdoors for more than two hours in light drizzle and snow, exerting basically zero energy, and stayed warm the entire time. Its G-1000 membrane isn’t fully waterproof, but its water-resistance was more than enough protection in the light rain and snow. The jacket so impressed me, in fact, that I momentarily debated hopping the fence and taking it home with me, leaving my lesser jacket behind. 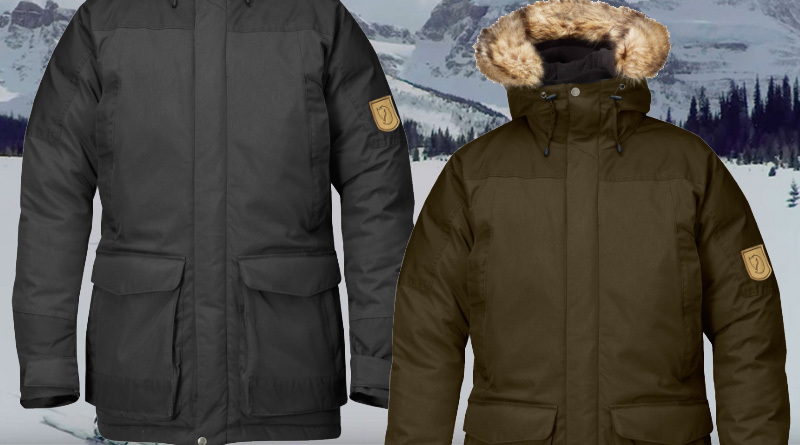 Quite simply, the Kyl Parka exudes craftsmanship, sustainable attributes, style and warmth. In my eyes, Fjallraven’s set a new high bar for winter comfort. NuDown’s unique approach to insulation has allowed the company do to some novel things with its Fall/Winter 2016 jacket lineup. 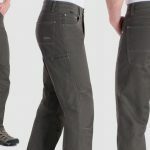 Using the premise that air is the best insulator, NuDown has equipped its Diamond Peak and Squaw Peak jackets not with down, wool or synthetic materials, but with angular air bladders. Young readers won’t remember this, but in the early 1990s Reebok made waves with the Reebok Pump tennis shoes. The concept with NuDown’s two jackets is similar: use a sphygmomanometer-like pump in the pocket to fill the bladders with air. Only the purpose in this case isn’t getting a tighter fit, but adding insulation on the fly. According to NuDown, going from no air to fully inflated can add 40 degrees Fahrenheit. That’s intense. I have some concerns about the bladders puncturing during active use, but the idea that you can dynamically add or subtract layers by adjusting the air is incredible. If the zigzag style isn’t your thing, the Diamond Peak (shown left and center) add an external shell so the public can’t see the angular bladders. That little addition may just inspire a few more people to give these innovative jackets a try. Rule number one: don’t call the Kora Azog Hooded Jacket a hoodie. So said Piers Thomas, Kora’s lead designer, as he walked me through Kora’s lineup. Kora is unique in its use of yak wool to deliver premium warmth, weight and performance. Lab tests have shown yak wool to be 40% warmer than merino wool by weight and 66% more breathable. Kora’s product selection historically has been relatively small; the Azog Hooded Jacket is a new addition to their lineup. 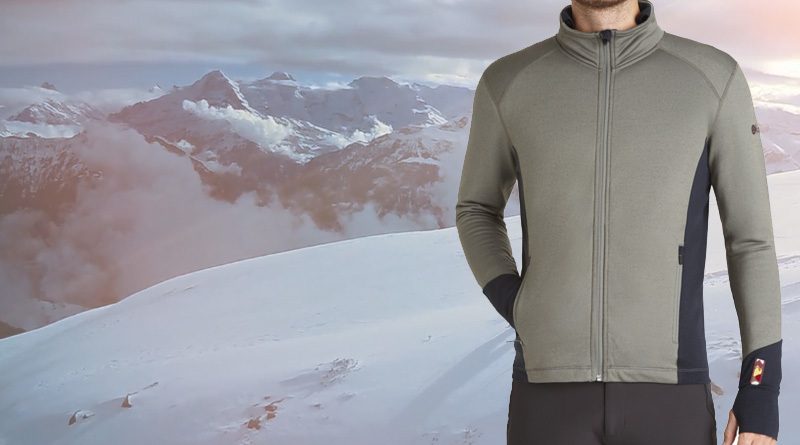 Thicker than Kora’s baselayer tops and leggings, the Azog is designed as a technical midlayer that supports the rigors of multiple winter activities while keeping you warm and moving. While yak wool remains the internal base, the Azog has a Sorona outer surface for added durability, and a tuck-in hood that acts as a baffle when not in use. The Azog offers little water resistance, but that’s by design. It’s intended for cold, dry climates and/or to be used as a midlayer underneath an outer shell. Whatever its intention, it has me excited. Kora’s attention to detail, from design to technical to material, is impeccable in its new Azog Hooded Jacket. If that precious yak wool delivers on its better-than-merino promise, this could be the One Midlayer to Rule Them All. 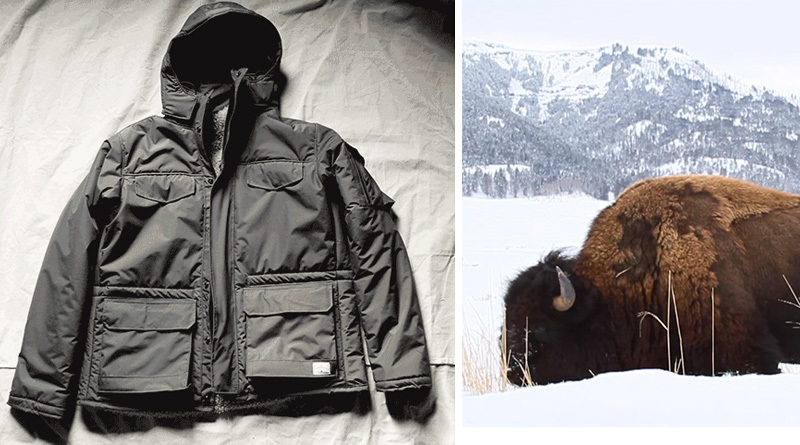 I’ve written before about the Ultimate American Jacket, so I’ll refer you to that article to read more about its use of bison fiber insulation. Before OR-Winter Market I hadn’t had an opportunity to get hands-on with the jacket. As exciting as the specs seemed to be, I had reservations about purchasing United By Blue’s latest offering during its preorder campaign because it looked like it was going to be bulky. Folks, it’s not. The Ultimate American Jacket is surprisingly svelte, incredibly warm, and has serious two-in-one appeal with a removable interior vest that can be worn separately. Whereas the Kyl Parka is water resistant, the Ultimate American Jacket offers 100% waterproofing. Here in the Pacific Northwest, that’s a really valuable feature. There’s not much not to like about the Ultimate American Jacket, other than the fact that its commercial release is still two months away. One of the biggest challenges with layering is avoiding looking like an overstuffed burrito. 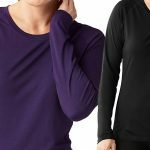 Two new products at OR-Winter Market really stood out as ways to avoid that fate: reversible tops that do double-duty as a coat or shirt depending on the weather. 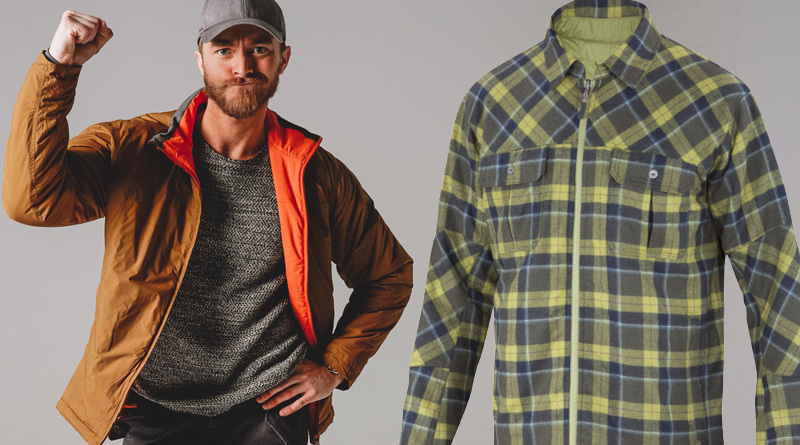 The Ibex Wool Aire Shirt Jacket (above right) combines Ibex’s Taos plaid wool flannel and 100-percent wool insulation, making it appear as a high-end flannel shirt in one look and a sleek light jacket when reversed. The Wool Aire is surprisingly versatile and looks amazing in all three color options (Antelope / Equinox Plaid, Peat Moss / Green Mountain Plaid, and Black / Coastal Plaid). 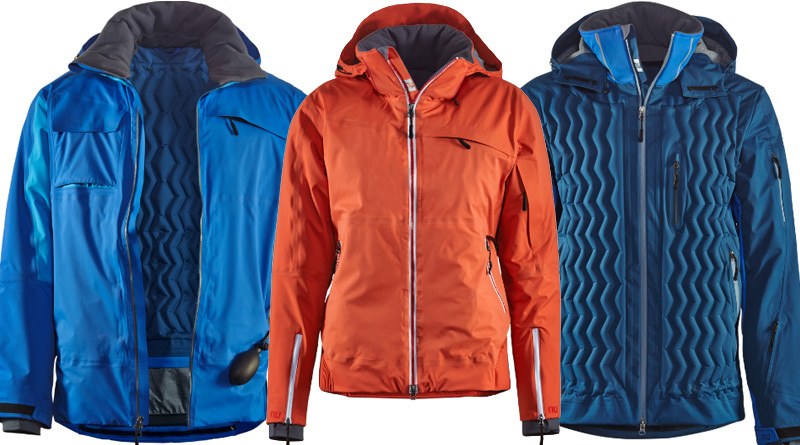 Likewise, the Sierra Designs Outside In Jacket (above left) is a lightweight jacket for hikers that’s fully reversible depending on your needs. In one orientation the Outside In shell stays on the outside to offer light rain resistance and a wind barrier, while the fleece remains inside for added warmth. The reversed option, meanwhile, presents a soft-looking exterior while keeping the shell inside for added cooling and breathability. The Fall 2016 version will add synthetic insulation to the Outside In, which really intrigues me for its added warmth. Two tops for the price of one is always a great proposition. The fact that both tops, from both of these companies, will come in the same piece of clothing is an outstanding offer. Some people call heated clothing cheating. I call it survival. When you’re in a chilly outdoor environment, you don’t get brownie points or respect for “toughing it out.” You just get cold. Three heated products showed great promise at OR-Winter Market 2016, with all of them poised to keep you warmer than any non-powered product ever could. 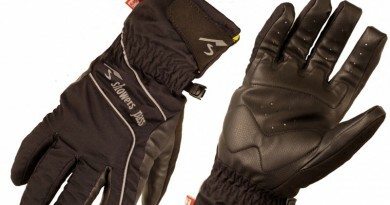 Zanier Gloves (above left) were originally designed for hang glider pilots, so they offer a surprising amount of dexterity considering their size. The fingers in both the Aviator GTX and Heat GTX 2.0 have finger-length filaments that transmit heat all the way down to the fingertips. They keep the heat going all day too, as the rechargeable lithium-ion batteries in the wrist area provide heat for up to 10 hours. 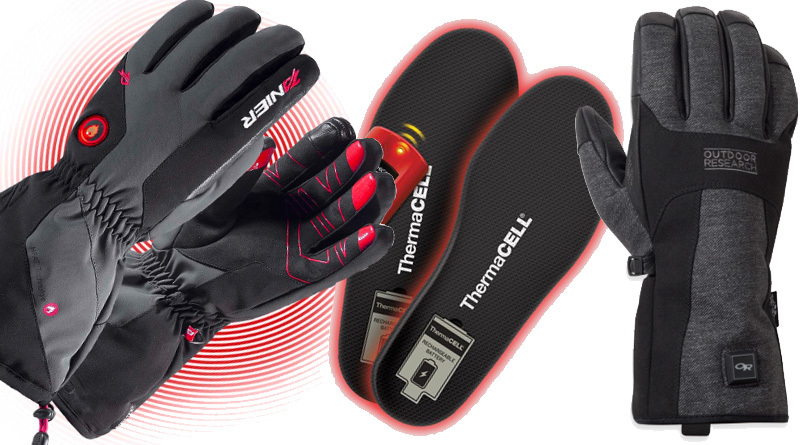 Outdoor Research unveiled two new pairs of heated gloves to its ALTIHeat line as well, the Oberland Heated Gloves (above right) and the Capstone heated gloves (not shown). According to Outdoor Research, both new additions to the ALTIHeat lineup offer 61% more power output than competing gloves, and offer twice as much heated area. I didn’t have the chance to test the Oberlands head-to-head against the Zanier gloves or a pair of VentureHeat gloves, but the prospect of a larger heated surface area is enticing for those of us whose extremities get cold quickly. With touchscreen capability and a surprisingly metropolitan design, the Outdoor Research Oberland Heated Gloves are near the top of my must-have list for Winter 2016. If hands are the top concern for those of us with Raynaud’s, then feet are a very close second. 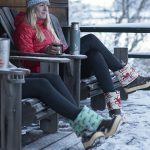 Thick socks and insulated boots are tried-and-true solutions, but sometimes those simply aren’t appropriate or available. It’s with those cases in mind that I was excited about the ProFlex heated insoles from Thermacell (above center). Powered by rechargeable batteries, the ProFlex heated insoles can be trimmed to fit your shoes and have an impressive amount of bend/flex to them to maximize comfort. While Thermacell has been around for a while, the ProFlex insoles are new to the lineup and definitely warrant a serious look by anyone who needs a little artificial heat boost in the bottom of their shoes. It’s easy at big events like Outdoor Retailer to forget that kids deserve to enjoy the outdoors too. Unfortunately, many kids hate the cold and/or have serious sensitivities to it. My six-year-old daughter, for instance, has Raynaud’s syndrome like I do. She often plays in the snow for just 30 minutes before freezing hands and feet require her to come indoors. 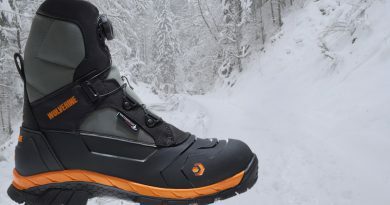 Both Kamik and Kodiak had impressive adult boot lineups at ORWM 2016, but their Winter Market 2016 Hot Shot Awards recognize both companies’ impressive work developing insulated boots for kids. Kamik’s insulated kids boots are waterproof, have reflective technology for increased safety, and are comfort rated to -40 degrees Fahrenheit. Their lace lock on top is a nice touch too, as it enables kids and adults alike to lace-up the boots with gloves on. 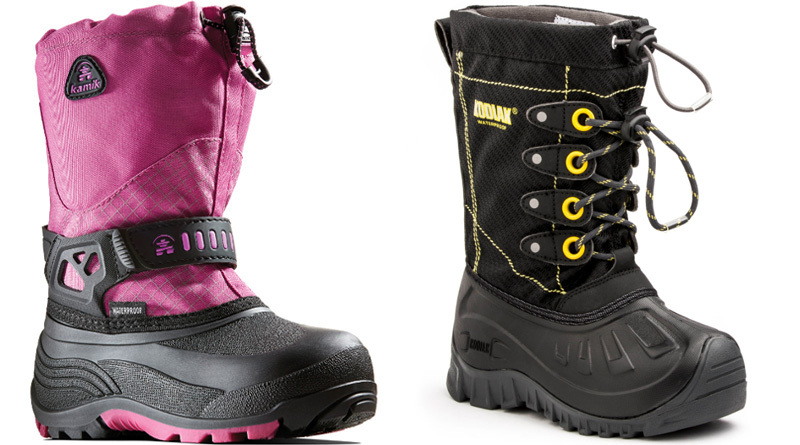 Kodiak’s kids line has similar features, plus an insulating liner that can be removed if it gets wet or if your kid’s feet grow between seasons and you want to get a few extra months’ use out of the boots before having to buy a new pair. Kodiak also debuted their liner-free Thermal PU Kodiak Klondike boots (not shown), which use Michelin rubber outsoles for improved traction — a nice consideration for careless kids. 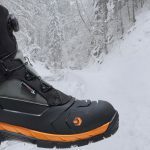 All told, these boots have great features, great insulation, and it’s great to see Kamik and Kodiak leading the way when it comes to keeping kids’ feet just as warm as their parents’. As you might have gathered from my head-to-head canteen comparisons, it’s just as important to stay warm on the inside as it is on the outside. Sometimes, though, heating up that cup of cocoa or warming a meal at camp takes so long that you end up even colder than when you began. Starting a fire and getting it to the cooking/heating point isn’t an instant thing. But how does 30 seconds sound? 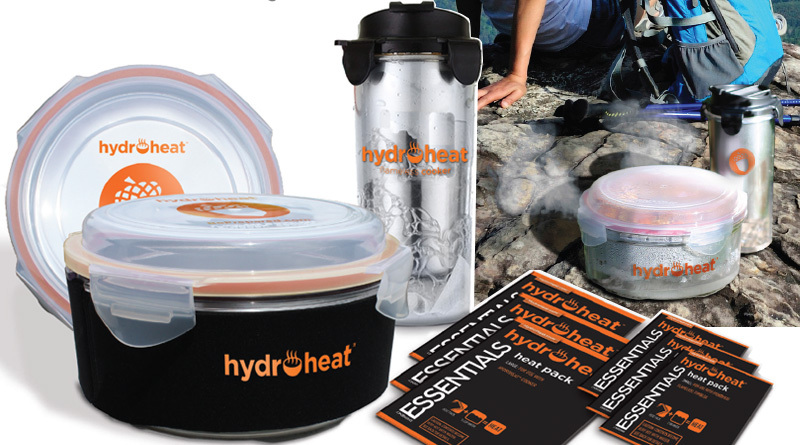 Hydroheat is a new product from Emergency Essentials that involves a specially designed cooking pot or tumbler and a water-activated mineral pack. Simply pop the quicklime pack in water, watch it chemically boil that water within seconds, and in five minutes your food and drink will be heated to 170 degrees Fahrenheit. It sounds totally gimmicky, but I watched it several times myself. Hydroheat is the real deal, and it could revolutionize the way we cook while camping. If you need food or drink to get hot fast, Hydroheat could be the answer. That should be music to the ears of anyone who gets cold quickly and values every second that’s spent getting yourself warm rather than warming something else. Jonas spent 17 years covering travel, technology and entertainment for regional and international media. He now writes about gear, clothes and tips to stay warm. He hopes his lessons will help other people who get cold (re)discover the great outdoors. 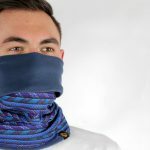 News and reviews to help people who are susceptible to the cold overcome the chill and (re)discover the great outdoors. Read more about Raynaud's and the Origins of Cold Outdoorsman. Copyright © 2019 Cold Outdoorsman. All rights reserved.